Wiring in the baby monitor camera can overheat and emit smoke, posing a burn hazard to consumers. 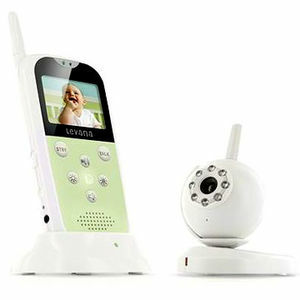 This recall involves about 800 Levana wireless baby monitors with model number LV-TW300. The receiver front is white and green with six round buttons and the printed word "Levana." It is 7 inches tall and includes a stand/base. The camera is white, about 5 inches tall and is attached to a 3 1/2 inch long white base. The camera can rotate and swivel in various directions. The camera and receiver each have an A/C adapter. BB Buggy and Health and Safety stores nationwide and on the Internet between February and May 2010, for about $200.